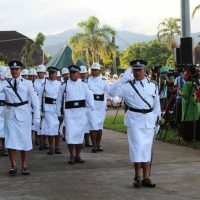 The Samoa Police Service is facing a $ST100,000 lawsuit filed by a man who alleges breach of his constitutional rights. According to the Samoa Observer, Malo Mose claims he was arrested and charged February of this year even though he told Police he didn’t understand Samoan. Mose said that he refused to sign a written statement Police had given him because it was in Samoan and he didn’t understand what it said. The charges against Mose were thrown out in August this year after Police admitted they did not have sufficient evidence to proceed. The statement of claim, filed by attorney Mauga Precious Chang, argues that the police officers abused their power by arresting Mose without good cause, without admissible evidence to support the charge for arrest. The claim also notes that the Police did not conduct a proper investigation to determine the situation before taking any action.